I mentioned in my last post that I occasionally am able to learn some interesting things just by entering the name of the the grape I'm trying to research into a Google image search. Today, for example, I learned that there was a 17th Century Italian painter named Giovanni Benedetto Castiglione who was known as Il Grechetto, according to Wikipedia, because of the "classic air of his pastoral depictions," whatever that means. Those of you up on your Art History may also know that there was a Spanish painter known as El Greco, who, it turns out, died when Castiglione was about five years old. El Greco's real name was Doménikos Theotokópoulos, which, as you can tell, is definitely not a Spanish name, so no prizes for guessing where his nickname came from. He signed many of his paintings Δομήνικος Θεοτοκόπουλος, which is his name in Greek script. None of which really has anything to with wine grapes. The only similarity that the grapes have with the painters is that, like El Greco and Il Grechetto, the Greco and Grechetto grapes are not related to one another at all. Many people believe that the Grechetto and Greco grapes must be related to one another given the similarity of their names, but it doesn't look like that's the case (or if it is, no one has stepped forward with any proof). The similarity of their names is due to the fact that both grapes are thought to have originated in Greece and been brought over to Italy at some point in the fairly distant past, though I've not yet seen any evidence to support this claim. I've looked for studies linking either of these grapes to grapes currently grown in Greece and haven't been able to come up with anything. Today Greco is mostly found in southern Italy around Campania while Grechetto makes its home a little farther north in Umbria with some plantings in Lazio and Tuscany. There seems to be two distinct subvarieties of Grechetto: Grechetto di Todi and Grechetto Spoletino. Grechetto di Todi seems to be the more widely grown of the two and has its own DOC within the Colli Martani region of Umbria, just southwest of Montefalco. 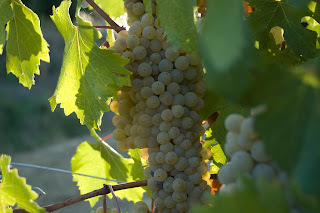 Grechetto has traditionally been known as a blending grape and is perhaps best known for its occasional appearance in the wines of Orvieto in western Umbria. 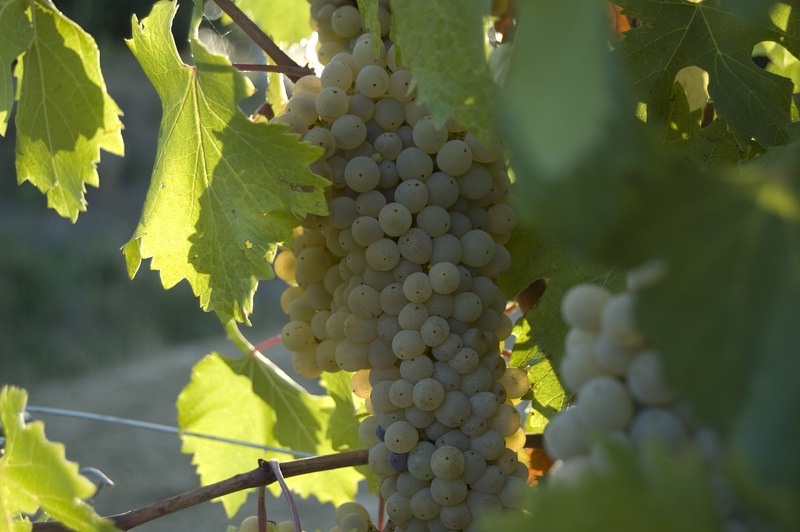 Grechetto can account for up to only 45% of the blend for Orvieto while Trebbiano (here called Procanico) must account for 40-60% and a grape called Verdello (which may or may not be the same as the Portuguese Verdelho) must account for 15-25%. There is no minimum requirement for Grechetto, and some producers don't use any in their wines. As the grape's penchant for making quality wine becomes more recognized, though, more producers are using as much Grechetto as they can. There are a few other DOC areas that allow for a high percentage of Grechetto, but most of the varietal Grechetto's that I've seen end up being bottled under the Umbria IGT designation since most of the DOC wines only allow for a maximum of 85% Grechetto. Producers interested in making a 100% Grechetto have no option other than the Umbria IGT designation. The grape is also widely used in late harvest dessert wines and Vin Santo production because it has especially thick skins that are better able to survive the extra time on the vine without succumbing to fungal infections. I was able to find two different wines made from the Grechetto grape. The first was the 2007 Argillae Grechetto from Umbria which I picked up from my friends at Curtis Liquors for about $18. In the glass, this wine was a medium golden lemon color. The nose was fairly intense with aromas of buttery nuts, ripe red apples and lemony citrus. It smelled a little oaky and a little leesy, but both aromas were pretty well integrated. On the palate the wine was medium bodied with medium acidity. There were flavors of ripe apple and pear with a touch of lemon. There was also a faint nuttiness and a distinct dairy-ish, cheesy kind of funk to it. I would have guessed that this wine saw some oak at some point, but the winery's website makes no mention of it. The wine has definitely undergone malolactic fermentation, which is why the acid seemed kind of blunted here and why there was a distinctive dairy note. This wine was probably little past its prime and made in a style that I don't naturally gravitate towards, so it's hard for me to recommend it. It's not exactly a bargain at nearly $20 a bottle, but fans of moderately oaked Chardonnay may find a lot to like here. The second wine that I tried was the 2010 San Clemente "Verdeaura" Grechetto from Umbria. This wine came to me from Paul Turina, an importer located in Portland, Maine, who stopped by my house last week to drop a few samples off. I'll be profiling Paul and some of his selection in greater detail a bit later this week. As always, what follows is my honest impression of the wine I tasted. I have not been compensated in any way other than with the sample bottle and do not have any commercial association with Turina Italian Wines or any of its partners. In the glass this wine was a very pale silver which was as close to water white as I've ever seen in a wine. The nose was fairly intense with peach, pineapple, lemon and green apple fruits. It was really a delightful wine to smell. On the palate the wine was medium bodied with fairly high acidity. There were juicy, ripe peach and pineapple flavors with pink grapefruit and lime citrus with a hint of stony minerality on the finish. Paul tells me he gets something a little buttery out of this wine and enjoys it with lobster. I'd drink this with just about anything as I thought it was an exceptional wine that was intensely flavored but very well balanced. It was honestly one of the better white wines I've had in some time, which came as a real surprise to me since I've never been a big fan of Orvieto and didn't care much for the Argillae above. 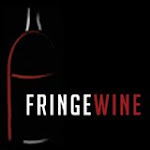 If any distributors are reading this, Paul is looking for representation outside of the state of Maine so please contact him through his website so that more people can experience this wine and some of the others in his portfolio. I'll be reviewing a Sagrantino from this same producer later this week so be sure to stay tuned for that.